Before you sit down with the elegant and well-spoken Roja Dove, think about where you might have seen his highly sought after creations. 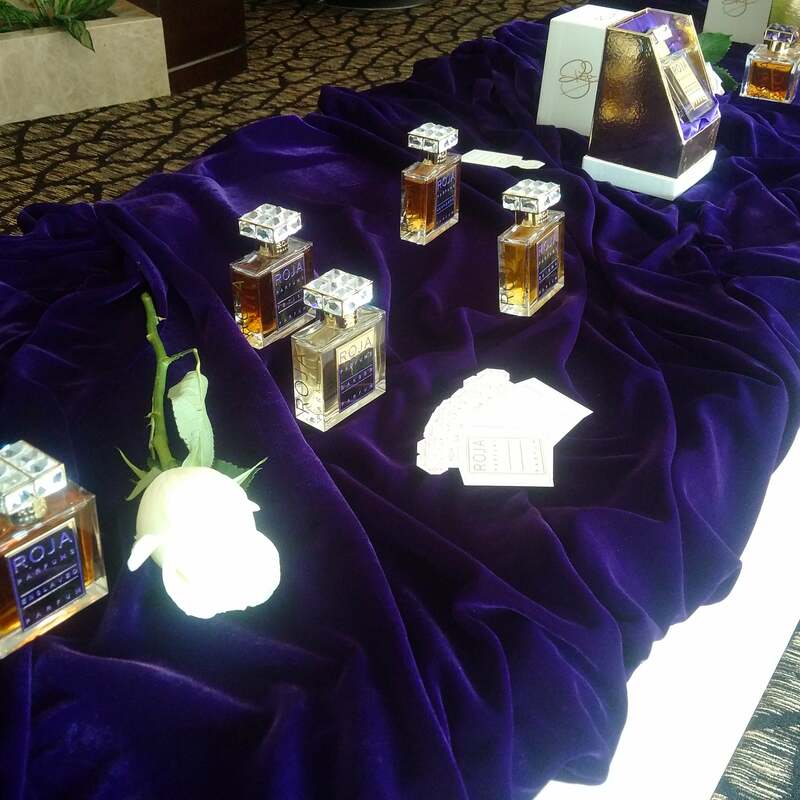 Just prior to his recent Middle East tour, I had the pleasure of experiencing a fine Roja Dove scent at one of the best hotels in the GCC during my stay there for a conference: the Rosewood Abu Dhabi’s executive suite was fitted out with ancillaries like the Roja Dove Vetiver Shower Gel, the Body Milk, and the Bar Soap. I’d also seen Dove’s collected works at Paris Gallery, as part of an ornate instillation. This month, just in time for holiday shopping, saw the House launch a dedicated Roja Dove boutique at No. 51 Burlington Arcade in London, England, while here in the Middle East, his products are available at the best retailers region-wide. Part of this entrepreneur’s strategy is the taste education of clients via direct training of his sales staff- and that in itself is quite rare. Master perfumers generally don’t travel country to country explaining the motivations behind note selection or composition- instead, a rather impersonal product knowledge kit is sent out to those consumer-facing brand representatives. If you think about companies across sectors, whenever the founder is directly engaged in the training and promotion of respective products and services, it is often one of the most effective methods of market penetration. 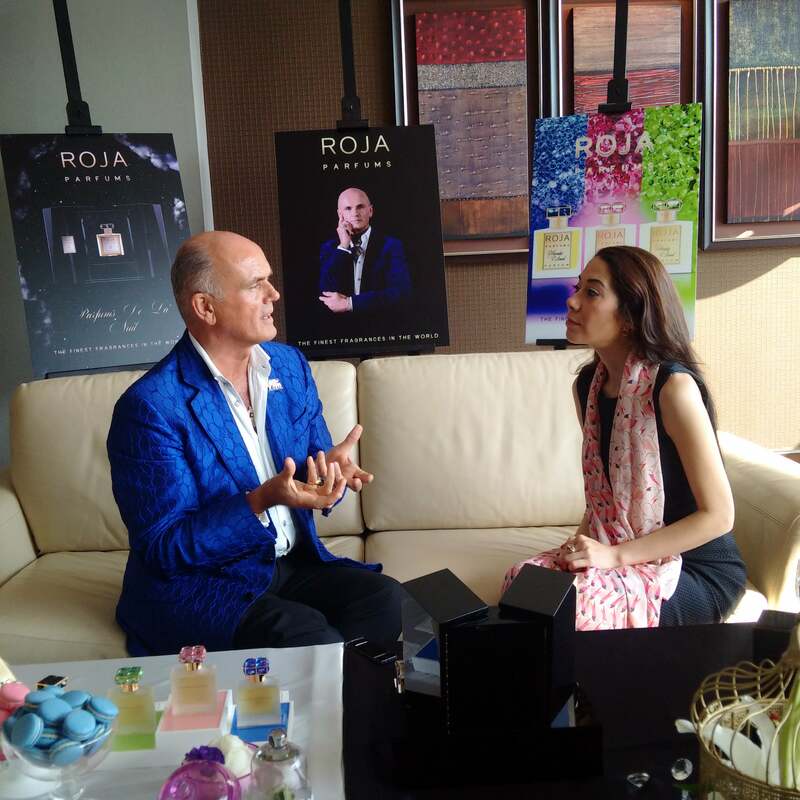 And perhaps, Roja Dove’s hands-on approach to his conveying the deep sentiment behind his business, and the exacting developmental process behind his collections, is something most entrepreneurs need to put to work, regardless of what type of client you are aiming to onboard. Roja Dove’s sublime selection comes outfitted for the luxury fan. The bottles, crystal presented with etched typography in an original font developed for the brand, are embellished with gold screen-printed accents (a delicate process that takes three days to complete). Once you get past the collection’s pristine packing, you’ll be captivated by the arresting fragrance.